HUD keeps driver’s focus on traffic for safetyby reflecting driving information on windscreen. CUB TPMS info. 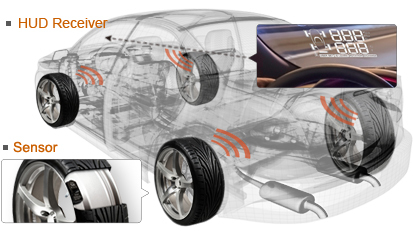 can also be integrated by HUD to allow on-time tire status monitoring.